A recent client discovery made us dust off the Outspoken Media blog–the realization that we’re competing with SEO platforms like BrightEdge and Conductor, more than other SEO consultants. That didn’t make sense to me and I had to investigate. I mean, enterprise-level SEO platforms have evolved to handle the heavy lifting of analysis, content management, reporting, competitive intelligence, and even some best practices and SEO recommendations, but they don’t replace PEOPLE, right? That’s what I thought and still firmly believe, but that’s not what is happening. Ok, it’s not a coincidence, it’s a conspiracy–SEO platforms really do think they’re SEO people. I understand that each platform is a phenomenal toolset powered by great minds and is often in the hands of incredible marketers. Regardless, I’m an SEO agency owner who is pretty diligent about understanding my competition and was shocked to hear recently from not one, but many clients that they were torn between whether to work with Outspoken Media, BrightEdge, Conductor, or seoClarity. Thankfully, I’ve been an in-house SEO and I get it. I really do. Working with a set SEO budget means you have to make decisions based on your resources and needs, but I still don’t entirely understand the decision since most agencies come with their preferred enterprise SEO toolset available to clients. To me (as a biased SEO agency owner) the decision is a no-brainer–choose the agency who offers the toolset you want and get the best of both worlds. This client chose to work with both a platform and us to help address their concerns. Digital marketers shouldn’t have to choose between business intelligence and human intelligence. Good SEO agencies should provide both. The same could be said for social media platforms like Falcon Social, NetBase, Hootsuite/UberVu, and Sprout Social. Social media and PR professionals also shouldn’t have to choose between social media management tools and strategists, but they do. Thankfully, the social media platforms aren’t as strategic about their SEO efforts as the SEO platforms and agencies don’t have to fret as much over competition in the search results (for now). 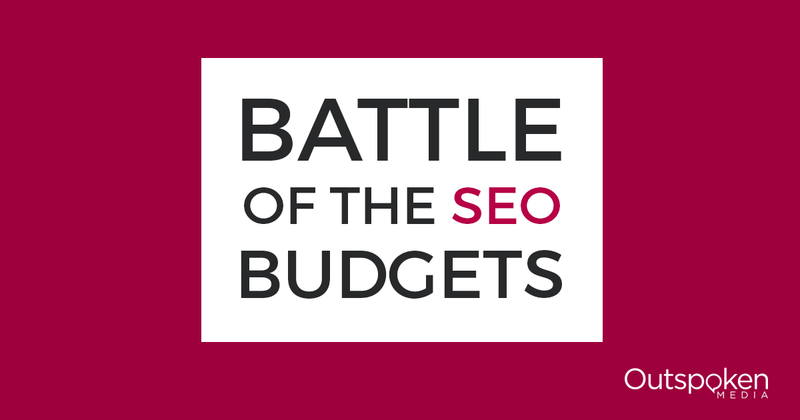 Is an enterprise SEO platform or an SEO agency right for your budget? Do you need help building a digital marketing and/or search strategy? Do you need to improve your understanding of SEO and the future of search? Do you need help implementing content creation, outreach, and/or design and development? Do you need consulting and/or training for your teams and special projects? Do you need another set of eyes for quality assurance and quality control? If you answered yes to the above, you should consider working with an SEO consultant. Do you have educated in-house SEO resources, but need help prioritizing objectives? Do you need tools to help you track your site’s SEO performance? Do you need help identifying and tracking SEO issues across many pages? Do you want to keep tabs on your competition easily? Do you need help auditing content performance for compliance with SEO best practices? If you answered yes to the above, you should consider evaluating SEO platforms. If you answered yes to both sets of questions, you should look into both an enterprise SEO platform and SEO consultant or better yet, an agency who offers SEO consulting and enterprise tools to their clients within your budget range. We may or may not be a good fit for you. Consider reaching out and even if we’re not, we’ll do our best to pair you with someone who is.